Properly constructed and fully functional ileostomy is paramount for patients’ quality of life and satisfaction. An ileostomy that has retracted below the skin will often cause significant difficulties pouching appropriately leading to severe and debilitating dermatitis, pain, and infections. In addition a retracted ileostomy into the abdominal compartment can cause abscesses and peritonitis. 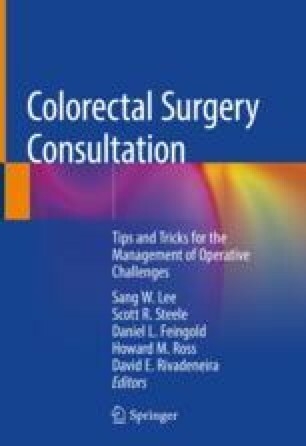 In this chapter we discuss the proper method of delivering an ileostomy and dealing with retraction.